I was inspired to write this little tidbit because I have a few friends, who shall remain nameless, that were attending a jazzy snazzy fashion related party. At the last minute, everyone is scrambling to figure out what to wear. As a stylist it seems like every girl has a last minute emergency. 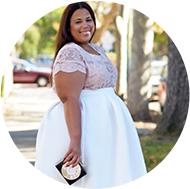 Hiring a stylist for this kind of situation can get you out of quick jam, but for the everyday girl a stylist is usually not in the budget. I'm going to let you in on a big secret. Come here...come closer...closer...just a little bit closer. KEEP A BACK UP DRESS!!! I have said this many times. Maybe not to you guys, but a true fashionista always keeps back ups. She is always on the hunt for the next dress that she is gonna wear to her next big event. Even if the event doesn't happen for another year. Last minute shopping in plus size doesn't exist. It just doesn't. 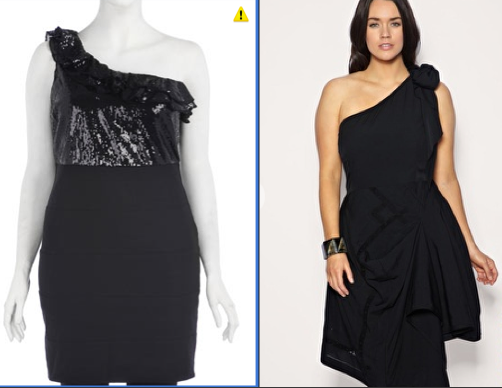 You don't want to end up wearing the exact same dress from Lane Bryant that the other curvy girl in the room has on. You wont end up in something too big or too small because you tried to make something work. You don't want to cringe at the photos fromt the event. If you pop up a formal event, cocktail party, or any other similar event on me at the last minute I guarantee I have at least three dress choices that are in my very own closet. Now I am not saying be a shopaholic like me, but you should make sure you keep yourself safe zone. 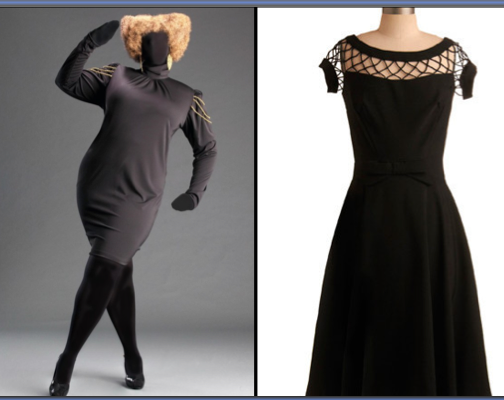 I would personally suggest a great little black dress or something in a color that is not very memorable. Your back up should be fabulous with just enough detail to get you noticed, but not enough detail where everyone is writing down where you got the dress from. It something that will offer you versitility in styling, so you will be able to offset any repeat offender accusations. Below are some suggestions that I think would make great backups. Be on the constant look to replace your back up dress. I hear women say when they are shopping "this dress is great, but I don't have anywhere to wear it." I always think nonsense. Sooner or later you will have an event to go to. You are so right, so many times I've found myself in this situation for a wedding or last minute party. I just never thought of it that way. This is the best advice, thank you. I couldn't have said it better myself, and I wish I had! If I had a dime every time a woman said, "But I don't have anywhere to wear it . . ." I'd have a cadre of pool boys from Samoa doing all my housework! This is really good advice, and now I'm drooling all over that monif C dress again! I've done this for years. If there's a dress that I want but may not have anywhere to wear it, and if it's in the budget, I'll get it. This practice REAL:Y came in handy last year. My husband and I eloped and my wedding dress was one of my back up dresses. I had bought it, thought I could wear it to a Christmas or new years eve party and neither of those came to fruition so I kept it in my closet. When we decided to get married in Vegas (by Elvis) I didn't have to rush to find a dress and hope I could get it to work. I reached in, pulled out my gold "back up" dress and off we went.